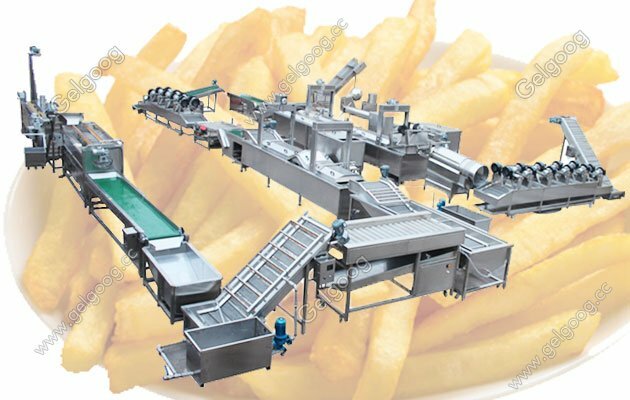 The whole potato french fries machine line can process 300 kilogram finished french fries or potato chips per hour.and it also can process frozen potato chips. 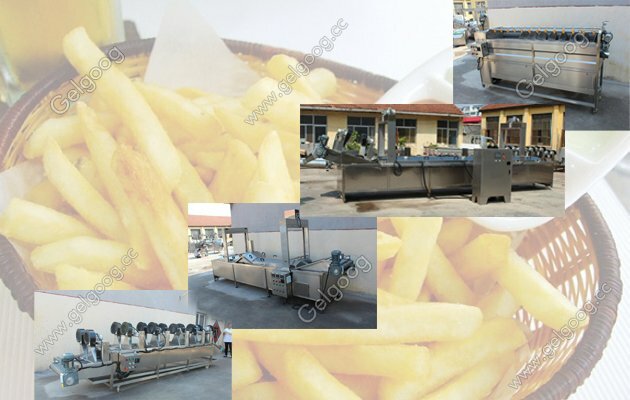 Automatic Potato French Fries|Finger Chips Machine Supplier The whole potato chips machine can process 300 kilogram finished french fries or potato chips per hour.and it also can process frozen potato chips. 1, The french fries machine are made of Stainless Steel 304. 2, For finished product, its capacity is 300kg/h. 3, All bearings are stainless steel bearings, electric are made of Chint Brand or Schneider Brand. 4, For theautomatic potato chips machines, it will need about 200 square meters to hold. It required the length of factory plant will not less than 58meters, the width will no less than 3m, and the height is not less than 3m. 5, This potato chips product line is automatic from feeding to discharge. It will save labor and realize the automatic. 6, For Blanching Machine of potato chips production line, it is automatic to control the temperature, automatic feeding and automatic discharging. The belt of the machine also can be designed according to clients requirement. For example, if you want to blanch the vegetables, the conveyor of this machine will be with mesh. If you want to blanch the granule, like beans, the conveyor will be made to plate, thus the granule will no miss. We as finger chips production line supplier in China,our potato finger chips making machine mainly consist chips cutting machine,finger frying machine and finger chips packing machine. Online, you can have see potato chips machine video. For finger chips machine, they are all for sale, with best price. If you need the finger chips machine, leave message on line or email us freely. 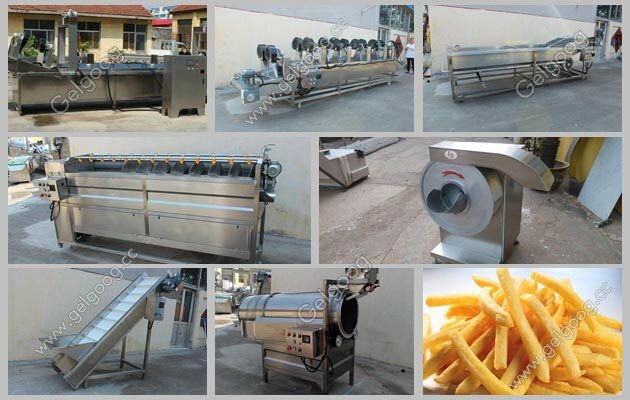 We provide you suitable french fries automatic machine solution according your detail demands.